[By Design] Shape Text or Text inside Shape not working? 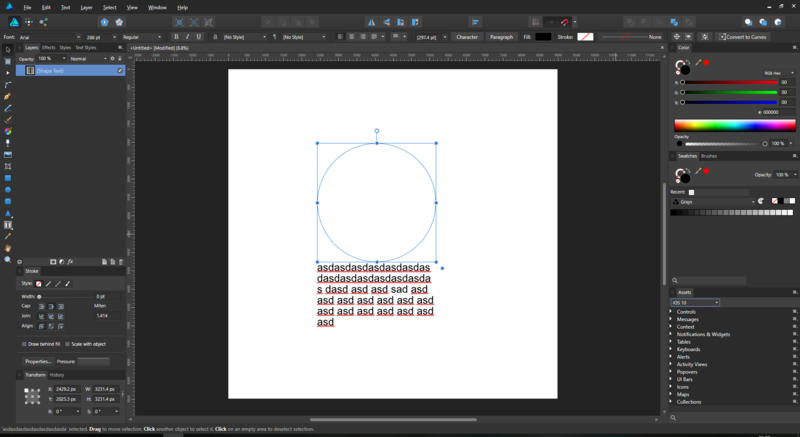 Is Shape Text on Affinity Designer 1.6.5.123 not working? why the text is outside the circle? I see a tutorial on Youtube, it's working. But mine's not. Thanks for the answer. It's work now. You are right, when I don't add some space on the first line or the text is too long, it automatically out of shape.